On Wednesday, May 30, 2018, Shoreline Community College held a groundbreaking ceremony for a long-anticipated campus dormitory. The campus, which draws students from all over the greater Seattle area as well as nearly 50 countries, currently has no on-campus housing, although there have been at least two other serious attempts. 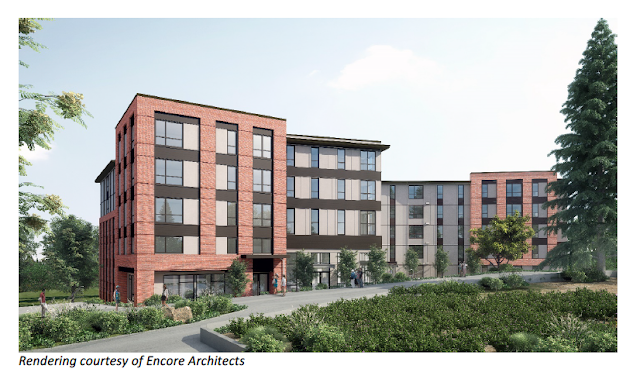 Construction will start immediately on a 216-bed residence hall. 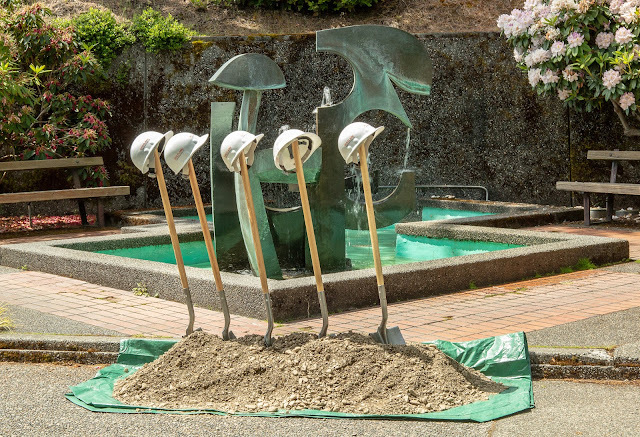 Located near the PUB in the heart of the college’s 83-acre wooded campus, the new student housing building will feature 68 units with shared living rooms and kitchens, and generous common space for all Shoreline students to connect and study. The project will also feature a double height Great Room and outdoor courtyard for college and community events. Units will be a mix of 2-bed, 4-bed, and studio options, with in-unit kitchens and bathrooms in all options. There will be an outdoor courtyard area along with extensive landscaping around the building exterior; mature perimeter trees will be retained. There will be a surface parking lot adjacent to the building. Any impacts to campus parking will be monitored closely but are anticipated to be minimal, as many of the students who will live on campus are already driving and parking here now; others may not need or want a car if they can live on campus. 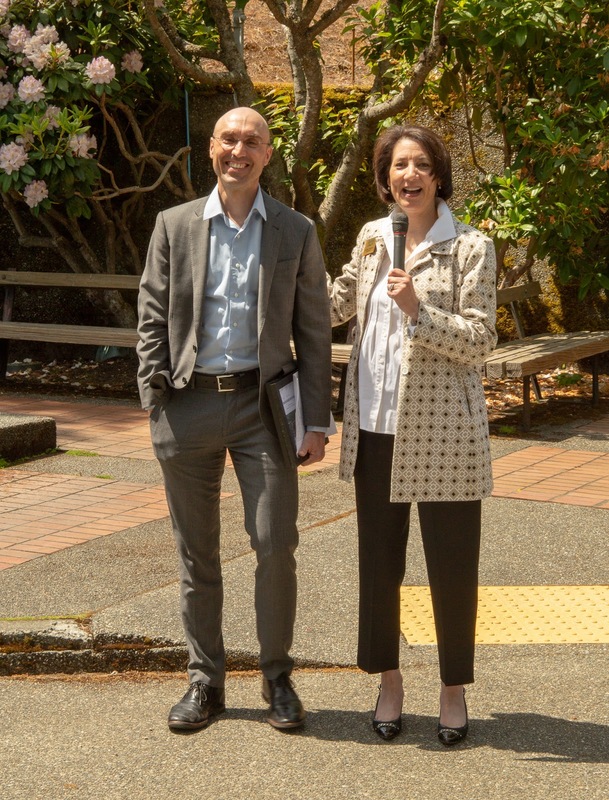 “Shoreline Community College’s transition to a residential campus will help us meet the clearly demonstrated demand for convenient and affordable housing options for our students, and our new residential life program will help students more fully engage in their educational experience," said Cheryl Roberts, Ed.D, President. “We are grateful to our partners at the State of Washington and City of Shoreline for their support,” she added. There will be a robust residential life program on campus; Resident Advisors (RAs) will live onsite and a property management and leasing office will be on the ground floor. Security features are included in the building plans and the campus already has 24/7 security officers on duty. There is a basement, primarily for storage, trash, and recycling services. Housing will be open to all students and they anticipate that the residents will reflect a mix of the overall student population. According to Alison Stevens, Ph.D., Executive Vice President for Student Learning and Success, “There is a great deal of research that points to the impact that on-campus living has on a student’s academic achievement and social emotional well-being. 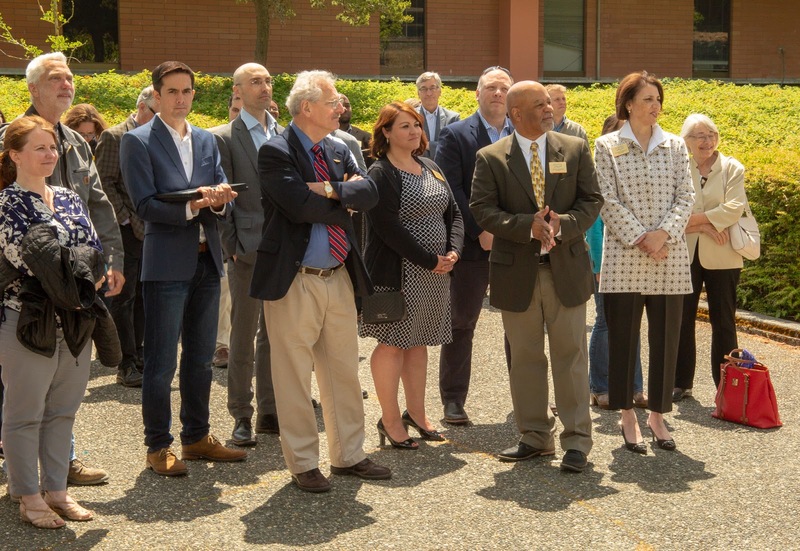 Campus and local dignitaries, including college officers, Board of Trustees, and staff, legislators, architects, and Shoreline Mayor and councilmembers, attended the formal ceremony, which was held in bright sunshine in a central courtyard. 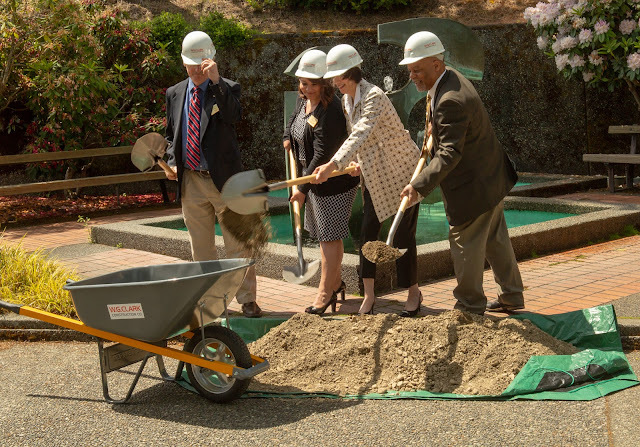 With an anticipated opening of Fall 2019, the project will seek a LEED Silver rating, with elements that include enhanced thermal performance, water-saving plumbing fixtures, a roof-top solar array and LED lighting throughout the building. The design and construction team includes WG Clark Construction, Encore Architects, and Spectrum Development Solutions. Shoreline Community College is located at 16101 Greenwood Ave N. Questions about the project can be emailed.